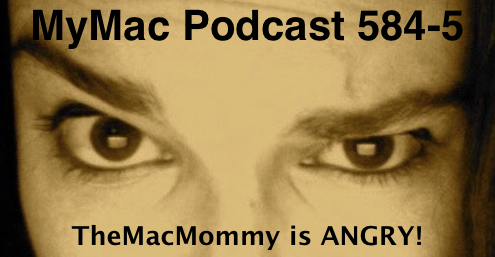 Gaz has some family stuff going on and couldn’t make it this week, so Melissa Davis TheMacMommy agrees to subject herself to the terrors of doing a podcast with Guy. Still no iPad Pro for Guy since apparently AT&T wants to punish him because he’s, well Guy and because they can. Melissa is mad at Paula Poundstone because Paula thinks she knows something about tech (no), education (GOD no), and raising children (PLEASE GOD NO!). She also deploys a BILLON iPads (Melissa no Paula) which is probably closer to 28 than a billion. The 300th show will happen next week or whenever. Guy’s App Pick: 1000 Miles by Emma Whan. Free with one in app purchase to fully unlock the game. If you’re a fan of the French card game Miles Borne you’ll enjoy this simple rendition. Melissa’s App Pick: Recolor (so hard to pick just one) I also want to mention Grocery Gadget and Jigsaw Collection HD on iPad but I’ll save those for another time or maybe talk about them on a rant about responsible and beneficial tech use.